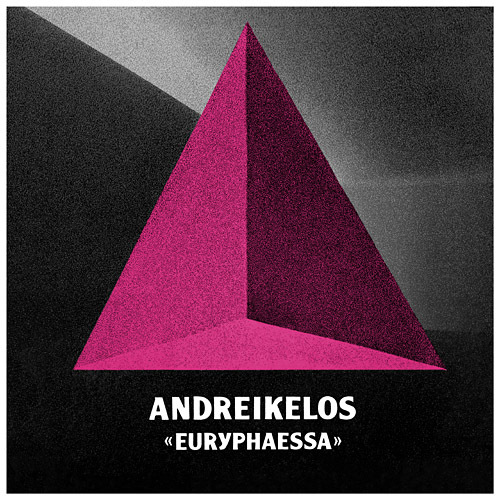 Following his earlier single release “(Call For) The Last Stand”, which was his debut on Equinox in 2010, as well as his remix release for Ceschi Ramos’ “Black And White And Red All Over”, the “Euryphaessa EP” is a new great musical perspective on Andreikelos’ vast talents. The title track, “Euryphaessa”, stands at the barrier between instrumental alt-rock and moody electronica. Named after the ancient Greek Titan-Goddess, Theia Euryphaessa, it is a perfect blend of heavy drum patterns, crunchy beats and distorted synth lines. Second comes “Under Pressure”, this instrumental hip-hop track is a hybrid of synths and samples enhanced by a heavy drumbeat blended with rock-ish cymbals and beautiful violin sounds for the finale. The following track, “Deserted”, is dark and cinematic. A blend of acoustic and electronic instruments alongside heavy drum sounds, creating a deeply emotional and atmospheric track that grabs the listener right from the word go. The whole arrangement of these sounds is so elegantly put, that it continuously drags the listener’s emotions from left to right, dark to light and back again, making this perfect soundtrack music. The final track is a remix of “Euryphaessa” by Greek producer Starflyer. His version enhances the electronic nature of the original with orchestral textures, smoothly blended onto a down-tempo beat pattern making this trip-like tune a perfect catalyst to fuel the overall sound. Additionally, on the digital version of the release you can find another remix of the title track by Geste from France – a more experimental take on the track, a neo-psych approach that pulls the listener’s attentioninto the unique sound of Geste. Andreikelos has probably outdone himself with this EP. The music is deep, building, dark yet melancholic and profoundly beautiful. Being Part 3 in the “Black On Black” vinyl series the “Euryphaessa EP” is released as a very limited (100 hand numbered copies) vinyl 12” alongside a poster. Furthermore, 25 cassettes will be given away to the first customers that buy directly from the Equinox Online Store. They include 3 tracks of the EP mixed together in two 10 minute sets plus an exclusive bonus track called “Sawlead Rock”.